One of the cheapest ways of travelling around Zante is by bus; there are frequent services from the main tourist resorts on the island into Zante town. Alternatively you may prefer to hire a car so you can travel at your own pace and to see parts of the island that the buses do not travel too. 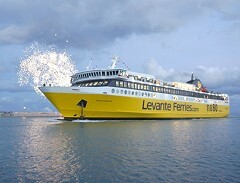 Zante is well connected by ferry to Kefalonia and the port of Killini on the Peloponnese from which is it possible to travel easily to the cities of Patras and Athens and other parts of Greece.